Bushed | Just Shooting Memories! Yesterday, I am writing this on Sunday, Saturday, was a very busy day. I spent the first half of the day exploring Old Car City USA. If you have not heard of it, that does not surprise me. This place is completely off the beaten path, but is filled with beaten paths. It is located in White, Georgia and is the home to around 4000 old cars. When you pass the place by, you can only see a couple of dozen. Don’t let that fool you. 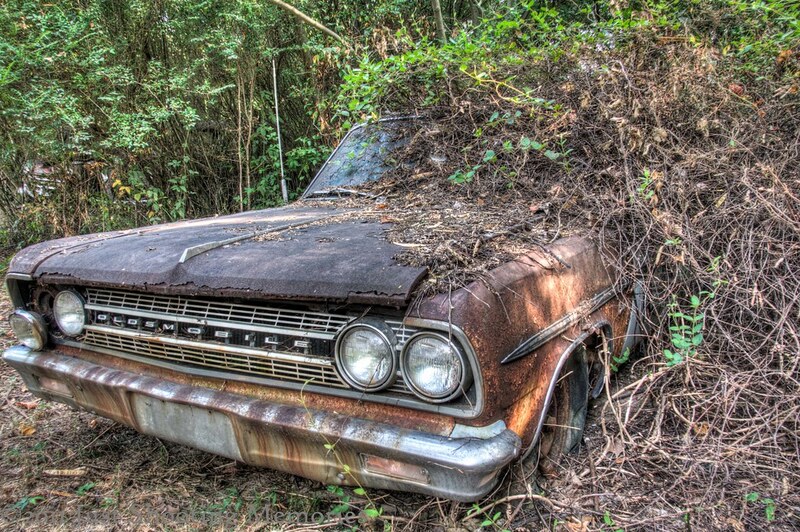 There are around 6 miles of trails winding through this fabulous junkyard. I had a wonderful time exploring these old classics. It was interesting to see all the old cars and what has happened to them in the elements. If you ever get the chance, this is a little gem well worth seeing. After walking through Old Car City, I had the pleasure of house chores and plumbing. So, after a full day, I was completely bushed.